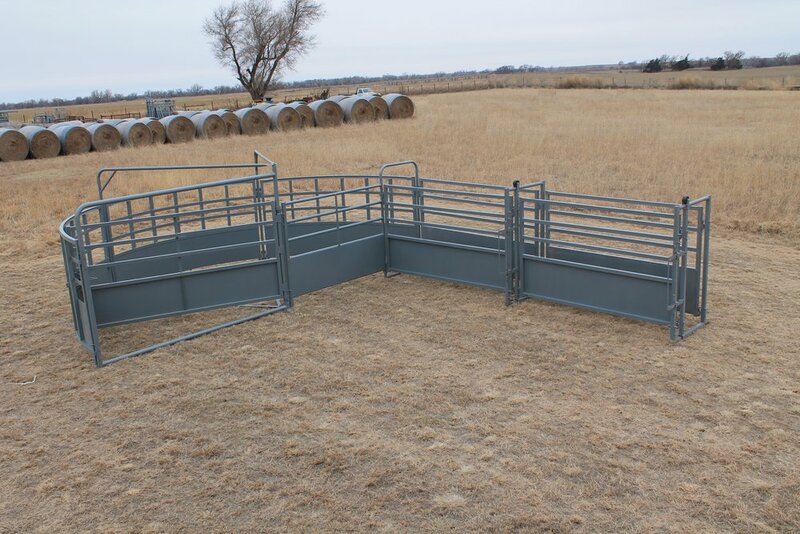 The Open Sweep was designed to allow the cattlemen a more portable as well as a more versatile way of handling cattle. The Sweep Pen door will latch every 18" for maximum safety for both the operator and also the animal. Another unique design of the Filson Sweep Pen is the versatility of the swing door latch. It can be easily changed from a left hand sweep to a right hand sweep by changing two springs on the latch. This pen is sturdy but can be easily torn down and transported to another location in a matter of minutes. No tools required.